Ms. Lauryn Hill is celebrating twenty years of her anthemic debut solo album The Miseducation of Lauryn Hill with a newly announced World Tour produced by Live Nation. 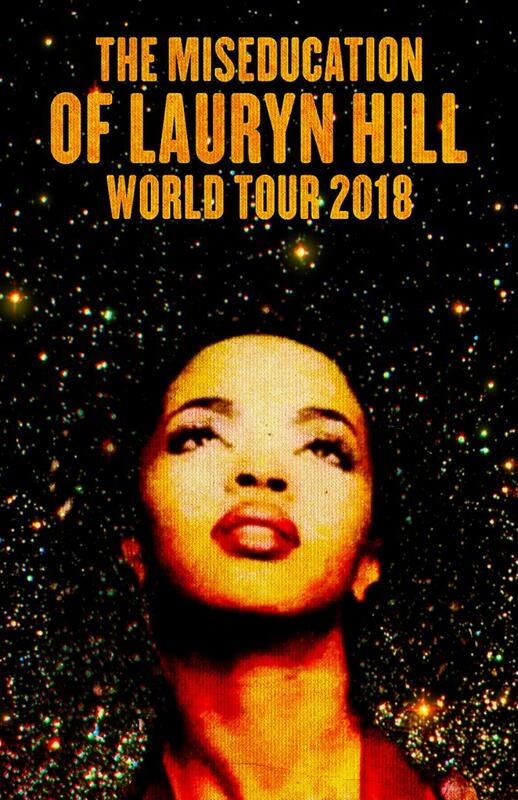 The GRAMMY® Award-winning artist will kick off the North American summer leg of The Miseducation of Lauryn Hill 20th Anniversary Tour outing on July 5 in Virginia Beach, VA. Tickets and VIP experiences go on sale to the general public beginning Friday, April 20 at 10am local time at LiveNation.com. More details will be announced soon, including international dates, as well as the full lineup with Special Guest performers at each show on the tour. Ms. Hill uses her platform to raise money and awareness for frontline charity initiatives through touring. A portion of the ticket sales go towards the MLH Foundation, which directly contributes support for education, health, agriculture, technology, and community based businesses and development initiatives throughout the Diaspora. Your contribution will be put to use through donations made from ticket sales to support community building worldwide.